Happy Wednesday! 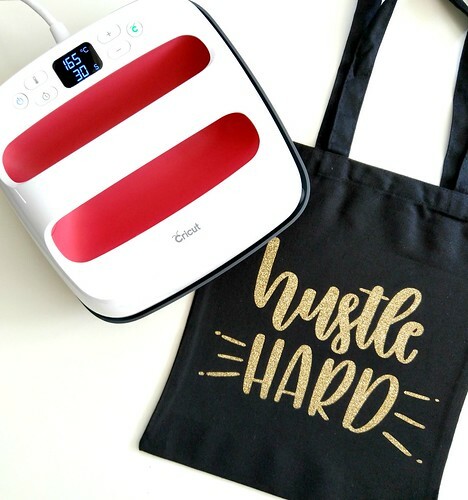 I'm back with another fun project created with my Cricut Maker - I've explored testing out this sweet machine with fabric as I start my sewing adventure, glitter iron-on materials as it joined forces with the EasyPress 2 so what's left to try out? Yup, good ol' vinyl. I've always been a fan of a vinyl project, mainly because it's such an easy medium to work with that's super-quick for adding a personal touch to objects. 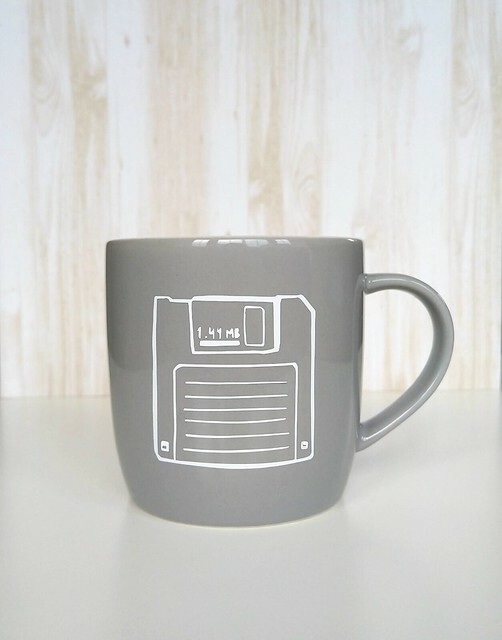 So, without further ado you'll see hat I've used new technology to celebrate old technology with this floppy disk mug. 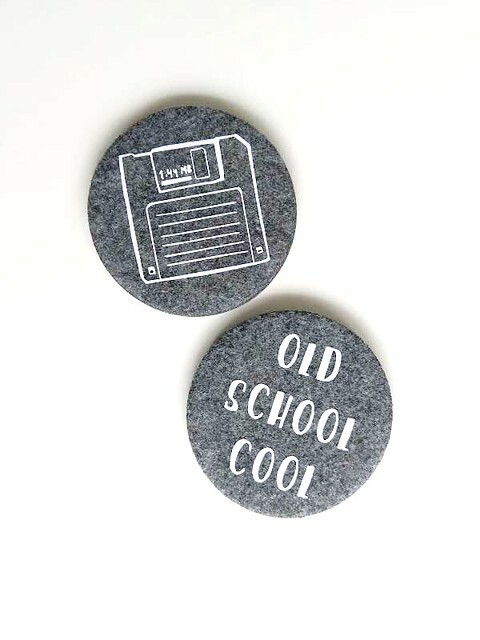 It was sooooooooooo easy to create; the floppy disk design can be found on Cricut Design Space and all I had to do was resize the image to fit my mug. I'm impressed at the accuracy and intricate detail the Maker cut from white vinyl - I mean, have you seen that tiny decimal point on the reference to the size of the floppy disk?! Amazing! I'd always recommend using the Cricut Transfer Tape to transfer the vinyl design with ease and precision - it makes sure that all of those teeny, tiny elements stay in place *wink*. I was happy with the mug as it was, but decided to go just one step further and create a co-ordinating double-sided coaster. Well....I actually made two so I could shoot both sides of them in one go for you! The coasters utilised the EasyPress 2 and must have taken all of 10 minutes to make, if that! I can confirm that Mr Gray loves his new mug and co-ordinating coaster and he's fully aware not to pop the mug in the dishwasher. With vinyl it's best to always gently wash any decorated items for longetivity. 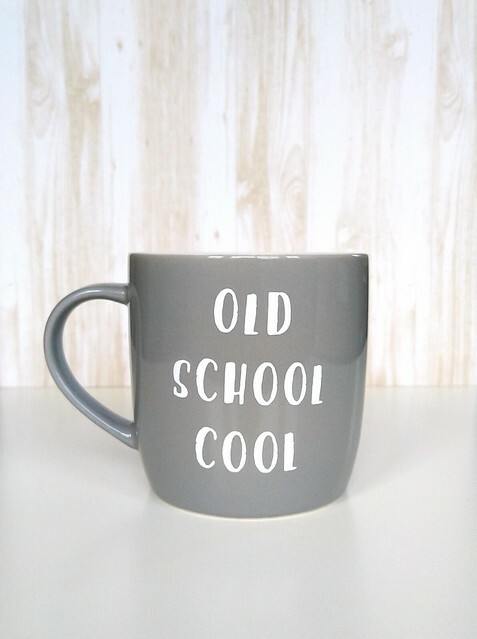 Now you don't have to go all 'old school cool' with this technique. The beauty of Cricut Design Space means that there are literally hundereds upon hundreds of designs you could use and so many different colours and varities of vinyl that the looks you can create are endless! 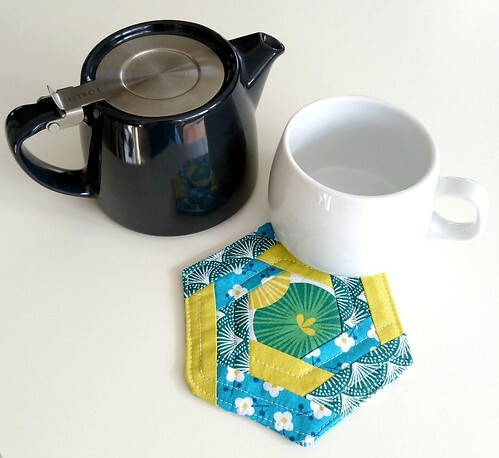 So next time you're out and about, grab those inexpensive coasters and mugs and discover just how fun it can be to customise them! Speaking of coasters and mugs, I think it's time I signed off to fill my own mug with a cuppa. Thanks so much for stopping by today! Anyways, enough about my working week, I'm here with a review of a hot product on the crafty market (I mean literally H.O.T.) - the Cricut EasyPress 2 9" x 9" plus the Cricut EasyPress Mat in size 12" x 12". 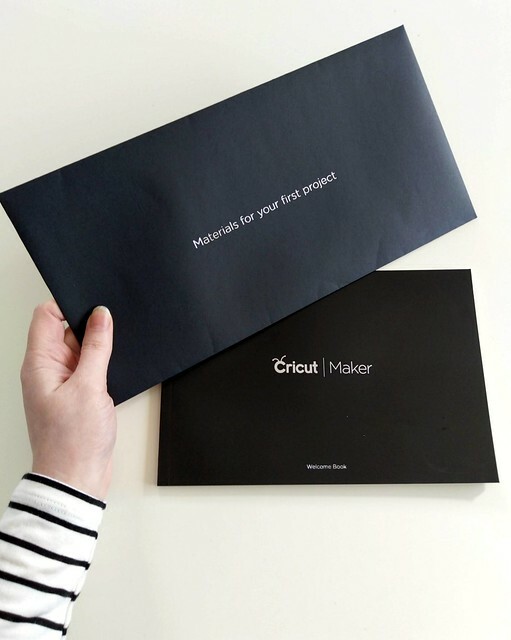 Cricut kindly gave me these product to review and here is my honest account of them. 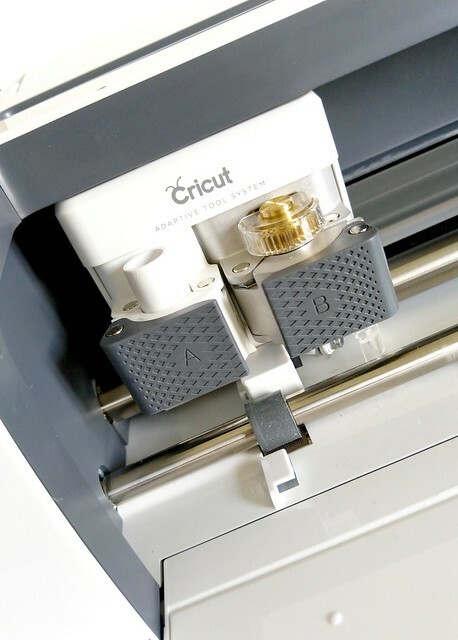 Firstly, let's take a closer look at the Cricut EasyPress 2. Now I'm a convert when it comes to playing with Cricut iron-on materials as you may see from past projects here, here and here. 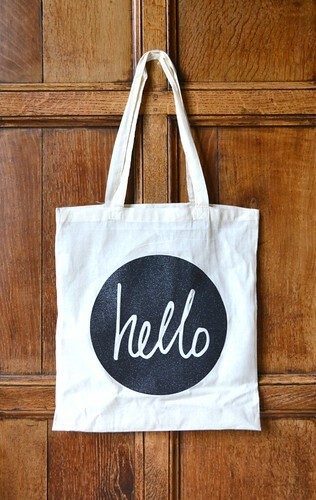 In fact, I still treasure this 'Hello' bag I made at the Cricut event waaaaaaay back in 2014. 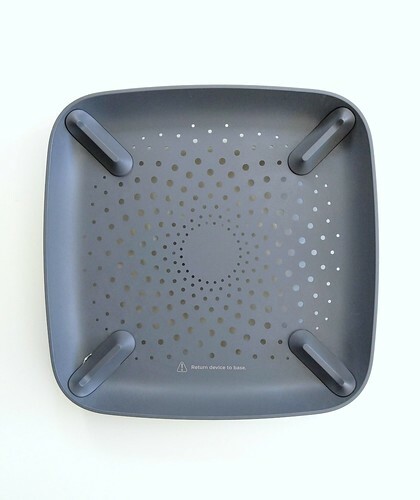 This EasyPress 2 features a super-smooth ceramic-coated heat plate in sizes beyond that of your regular iron in three sizes: 6" x 7", 9" x 9" and 12" x 10". There's a size for every project, but for me and my needs the 9" x 9" is juuuuuust right. No more moving the iron around over an iron-design to make sure it's all received the same application of heat - hurrah! Now I'm not saying an iron is hard to use (well...if it gets me out of regular ironing then I'd argue it!) but this machine is so incredibly easy to use. 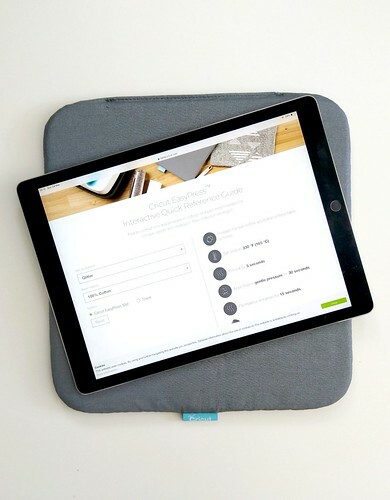 Simply use the interactive or downloadable guide to say what material your Cricut iron-on material is and what you'd like to apply it to and you'll be told the exact temperature required and pressing time. Simply input that in the EasyPress 2 and you're ready to go! Now, this is the biggy for me. An iron will apply iron-on material just fine, but you need an even heat and pressure over the design if you want it to be durable wash after wash. The EasyPress 2 does just that - especially when combined with the EasyPress Mat. Another biggy here - especially for accident-prone peeps like me! The EasyPress 2 comes with an Insulated Safety Base that protects the heat plate. As an added bonus it's pretty too! I mean, have you ever seen a prettier Insulated Safety Base? I thought not. This base means you don't have a hot plate exposed to accidental touching like I do with my iron. Even better, the EasyPress 2 will also automatically turn off after 10 minutes of inactivity as an additional saftey feature. 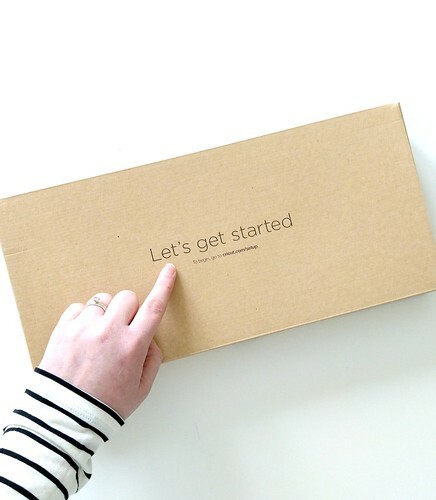 I love how Cricut make you feel so special when you open one of their products - it's that attention to detail that gets me smiling like the Cheshire Cat! So that's the EasyPress 2. 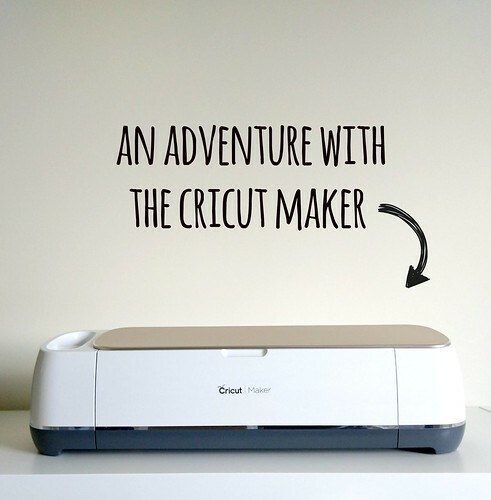 Now let's look at its partner in crime: the Cricut EasyPress Mat. Now this is not complusory to have alongside the EasyPress 2, but it definietly aids in achieving that professional finishing result thanks to the technology it incorporates. You can use a regular folded towel under your projects, but the EasyPress Mat features five layers of heat-resistant, moisture-wicking insulation and this is key for achieving that durability with iron-on designs. The mats come in three different sizes, each one complementing each size of the EasyPress 2 family. 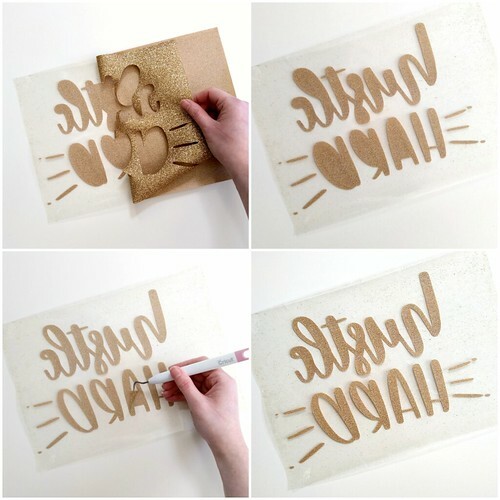 Now, let's have some fun and combine the Cricut EasyPress 2, the EasyPress Mat, the Cricut Maker, some gorgeous gold glitter iron-on material to show just how easy it is to create your own iron-on projects! Whatever you're going to apply your iron-on to, it's recommended that you pre-wash it without fabric softener. This helps to improve the durability of the finished project. 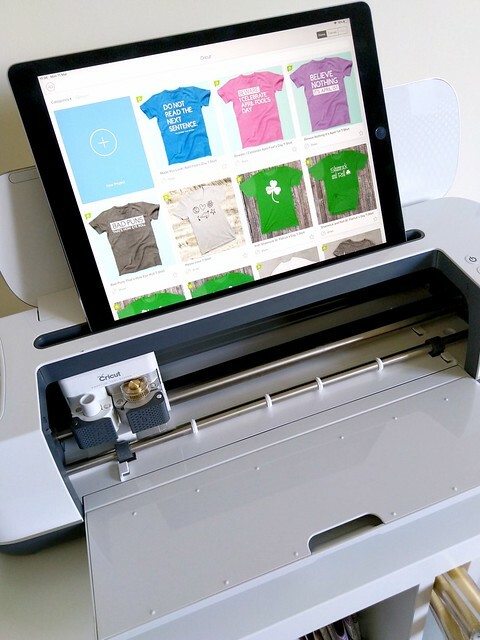 There are soooooooooooo many designs you can choose from in the Cricut Design Space library - many specifically designed for iron-on designs. Some of them are free, some you have to pay a small price for. 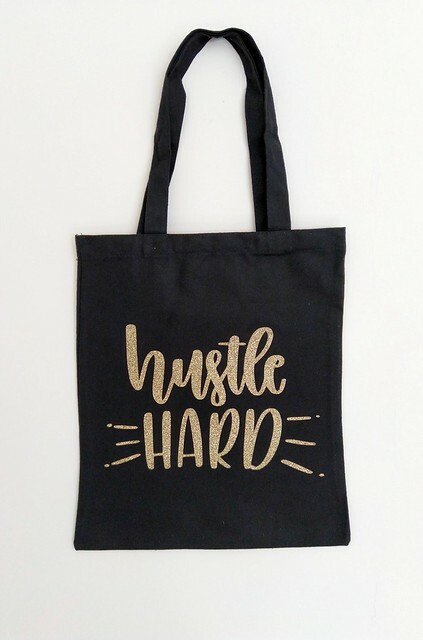 I wanted to customise a black tote bag with artwork I'd purchased from Etsy by liliumpixelsvg, and the joy of Design Space is that you can do this with no problem whatsoever and for free! Don't forget to mirror your design when cutting it from iron-on material! Also place the iron-on material shiny side down onto the mat. You can leave the Maker to it, but I can never resist watching the cutting process - it's quite hypnotising! Basically, remove the background from the cut design. This is easy done when combined with the weeding tool. I find it quite theraputic! Simply access the interactive guide here or download a guide to determine the settings required on the EasyPress 2. Input the required temperature and timing into the EasyPress 2. 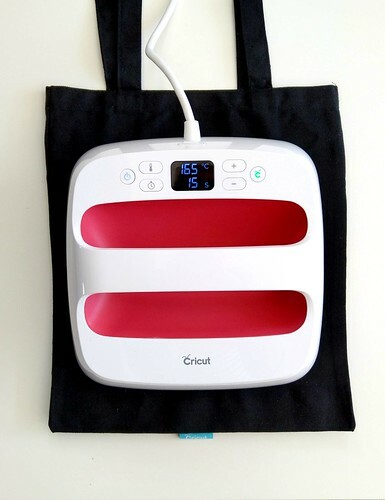 Place the base material (in my case, a tote bag) on the Cricut EasyPress Mat (or alternatively a towel) and apply the EasyPress 2 on top for five seconds to withdraw any moisture. This step is really imporant to achieve that durability - don't skip it! STEP 7 - PRESS IT, BABY! 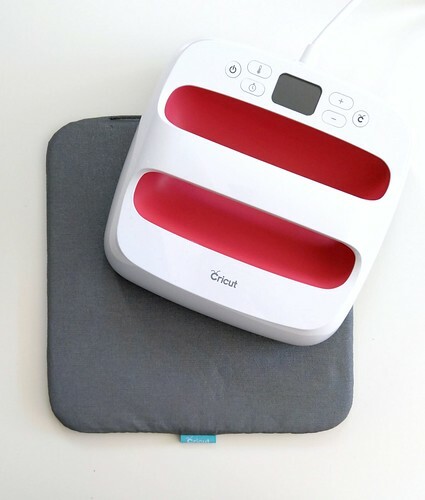 Position the iron-on design on the project and press the EasyPress 2 on top for the required amount of time by pressing the Cricut button to activate the timer. You don't need to press down super-hard. Then flip over the project and press the reverse side of the project for 15 seconds. Again, this is an imporant step for durability purposes so don't skip it! Depending on the material used, peel the shiny backing of the iron-on design away while the project is still warm or when it's cooled. The interactive and downloadable guide will inform you whether to adopt a warm or cold peel for you project. Allow 24 hours after application before washing and always wash and tumble dry the project inside out. I hope you found this review and project useful! I'll be back with more in the future for sure. Thanks so much for stopping by today! Happy Tuesday! How the heck did it get to March already? Spring is waiting ever-so patiently to arrive here, but winter wanted the last word this past weekend which was fine by me as it gave me the perfect opportunity to play with a new crafty toy: the Cricut Maker! 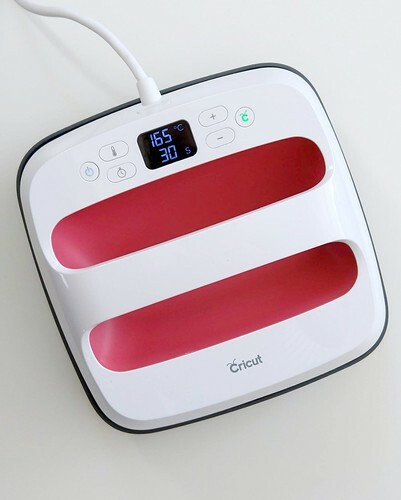 Now those of you that follow me on my crafty adventures know that I'm a huge fan of Cricut since I got my crafty mitts on the Cricut Explore One waaaaaaaaaaay back in 2014. I loved that it opened doors to experiment with a wide variety of crafts and introduced me to fun with iron-on materials, vinyl and more. 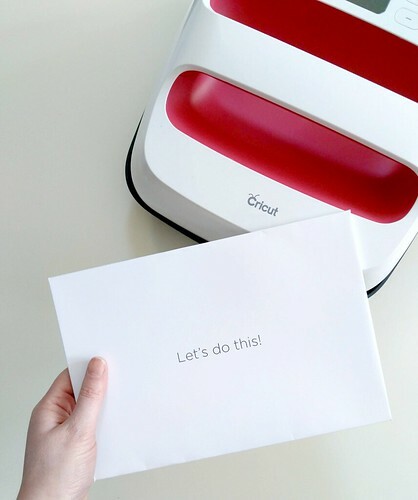 When Cricut reached out to ask if I would review and play with the Cricut Maker I was thrilled. I've been eyeing up these mystical Makers and wondering if it was something I was missing out on. I didn't make the jump from the Cricut Explore Air to the Cricut Explore 2 as I felt that I could get along just fine with my Air. But was I right in thinking that I was missing out with a Maker? That rotary blade cuts through fabric like a hot knife through butter with extreme precision. It's also a much safer option than your traditional rotary cutter for accident prone peeps like me! I found that I normally had to add a backing or stabiliser when cutting fabric with my Explore, but with the Maker and this blade I simply pop my fabric on my FabriGrip mat and let the Maker do the rest. No stabilising required whatsoever! I can't wait to find time to play with felt - hello, felt flowers! The knife blade (not included with the machine) cuts with 10 times more pressure than the Explore Air 2 so thicker materials are no problem for this machine. If you like experimenting with materials such as leather and wood then this a the game changer. Don't be fooled by its strength though: this machine can also handle delicate materials too such as crepe paper. That adaptive tools system hosts a variety of other tools that can be purchased separately. Along with the knife blade I’ll be eyeing up the scoring wheels. The good thing is that I can use my scoring stylus from my Cricut Explore Air while I wait as it fits the Cricut Maker. 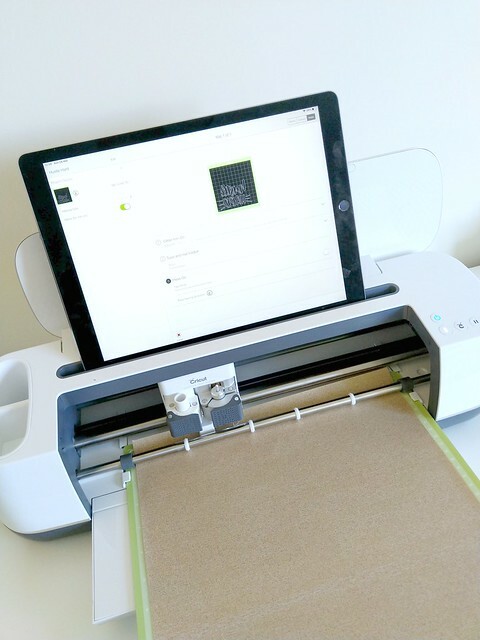 If you're already familiar with the Cricut machine family, then you'll know and appreciate that extra detail they go to upon opening the box to guiding you through your first project. It's no different with the Maker. Now, it wouldn't be right if I didn't share a project with you that I created while testing out this machine. I set myself a real challenge as I wanted to test that rotary blade with fabric. I wouldn't call myself a sewist, but I do have a sewing machine and I've found myself wanting to play with it so I was hoping that the Maker would make this easy for me. Typical Aimes here picked not a beginner but an intermediate project, but the fact that the cutting was all done for me by the Maker and that full instructions were provided through Design Space gave me the confidence to try. Well....the instructions that showed all I needed to do was stitch straight lines anyway! Now don't look too closely at the stitching, but that fact I was able to whip this up as a total newbie to sewing got me excited! I'm now eyeing up the rest of the fabric I've hoarded along with all of the other materials I've got stashed in my craft room and feel totally inspired to cut into it and make something of it! 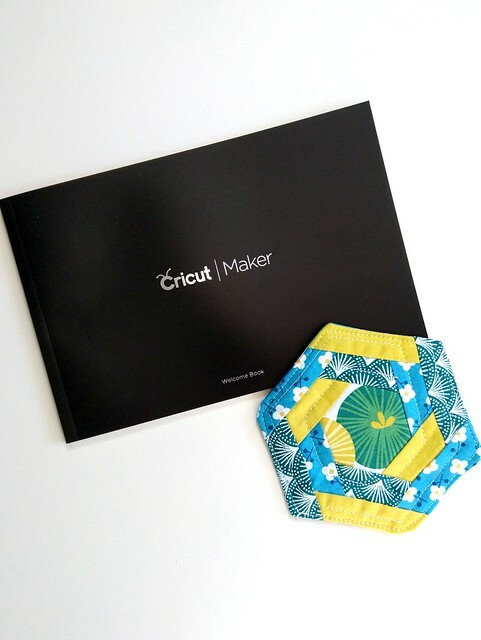 So, do you need a Cricut Maker? In my honest opinion it depends entirely on what kind of crafter you are and your budget. The Maker is more expensive than the Explore Air, but offers so much more versatility. This is a machine that is going to grow with me as I try my hand at projects beyond papercraft and vinyl. That's exactly what I thought I was missing out on by not having one. I know that I am going to get some serious use (and fun!) out of this machine. Right, I've shared one project with you but I have so many more crafty Maker adventures to share with you soon....Watch this space! I really need to get more acquainted with my iPad Pro and ProCreate after seeing the amazing work out there that can be created on it. 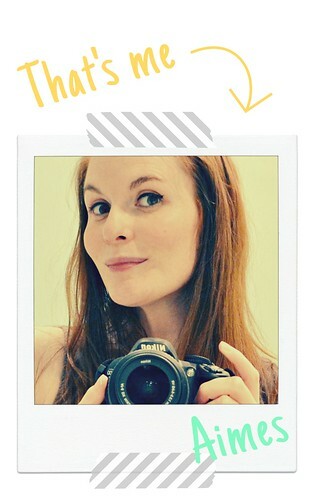 I decided to follow this easy YouTube tutorial by talented by Teela Cunningham of Every Tuesday. This doodle is no masterpiece, and practise makes perfect, but the creative process was really fun so I thought I’d share it here. I often wonder if doodles represent our subconscious throughts. If so, I think I can safely assume that my subconscious is wishing for spring! So, do you remember this post where I shared a work-in-progress shot of what I busy creating? Well, the reveal time has come to share the finished project. 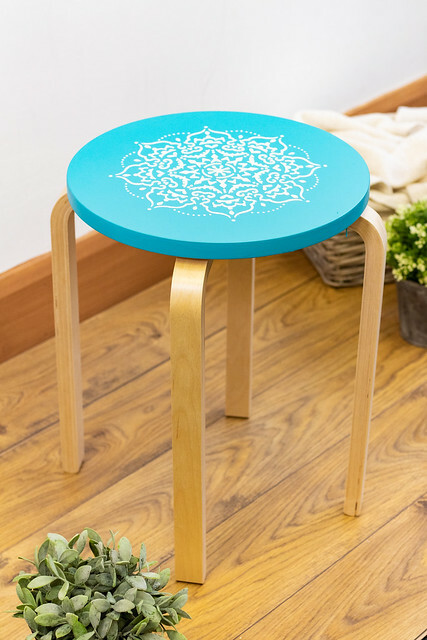 This upcycled stool was so easy to create with basic supplies. 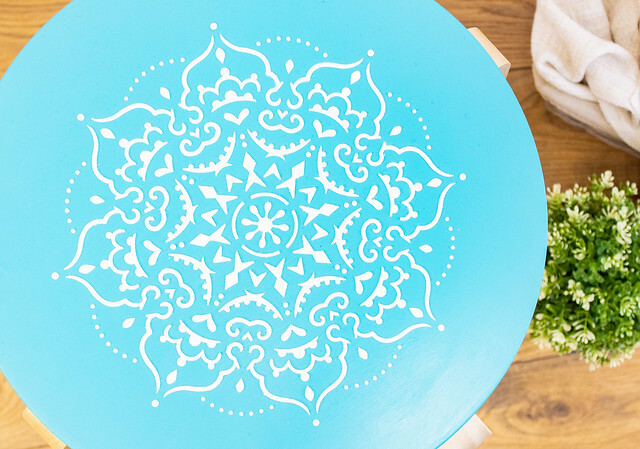 Ideally, you’d want to use white spray paint for the stenciling process and then seal it. However, I didn’t have any to hand and I was in the creative zone I used embossing paste instead. This added a really cool dimension, but I wouldn’t recommend doing this if you want to park your tush on it! This will be more of a decorative stool for the home *wink*. 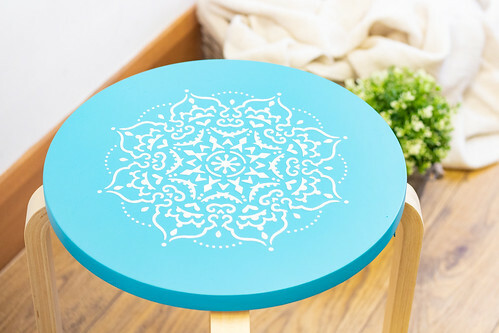 The stencil is part of a range of home décor stencils that Threaders have just launched. Threaders are more commonly associated with sewing, but the beauty of these stencils is that they can be utilised across so many different crafts! 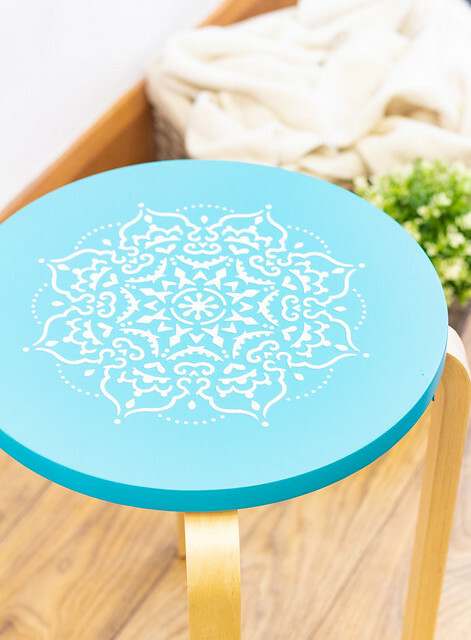 Not only are there intricate mandala designs, but there are super-cute Scandi styles too. I’ll definitely be playing with more of these in the future! If you’re interested, the stencils can be found here. They come in sets of two, and if you act quick, they’re currently on offer at two packs for £20! Thanks so much for stopping by today. I hope that you have a super-duper weekend! So, let's kick off 2019 with a good intention. An intention to enjoy the process of playing with pretty things to get a craft fix, and also busting some stash in the process. I have a lot of stash that I've sat and admired for literally years, and the time has come to administer the scissors and glue to it *gulp*! Cue today's card, which was a creative distraction from cleaning my office upon discovering my stash of the Hello, Love collection by Crate Paper (and the bonus of creating Mr Gray's Valentine's card early!). 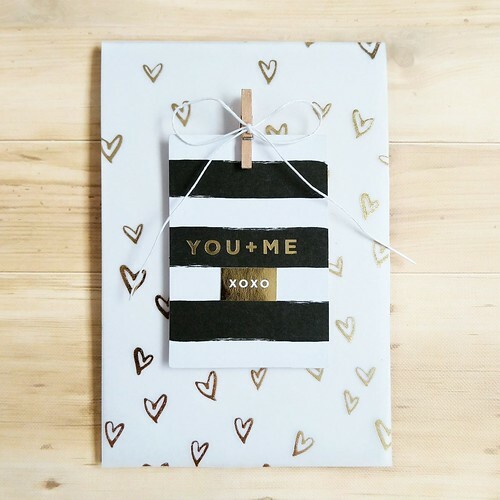 You could easily use modern-day supplies to create this with some gorgeous gold heat-embossing. 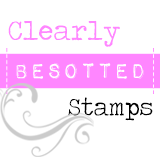 Grab a heart stamp and a couple of sentiment stamps to recreate the look! Right, I'm gonna keep things short and sweet here. 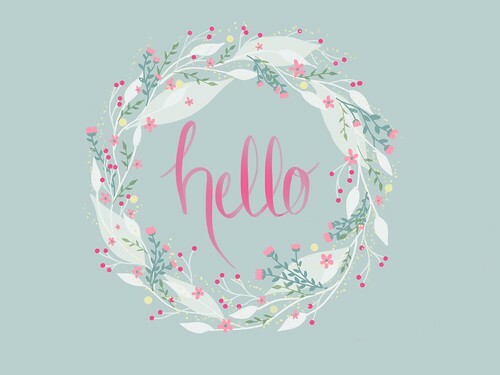 But I hope that you all have a great weekend and thank you so much for taking the time to stop by today!